Bunny Runs with Scissors: Happy 4th of July!!! Happy 4th of July! 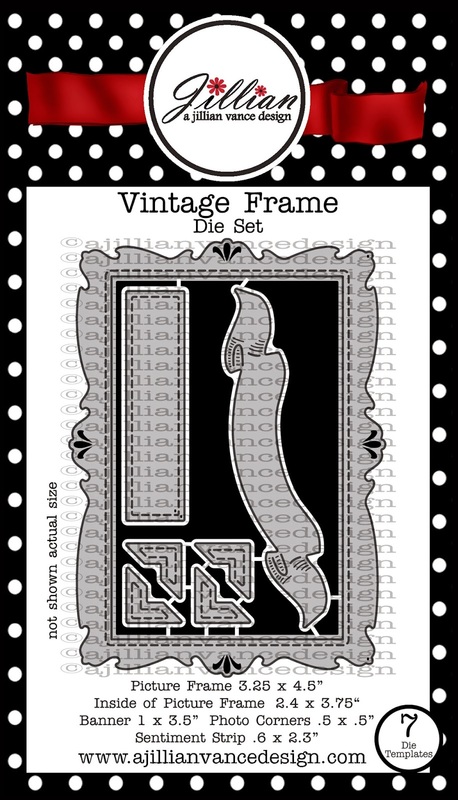 Today I am featuring the NEW Vintage Frame Die Set and the Limited Edition Miss Adventures: Celebrate by Whimsie Doodles! 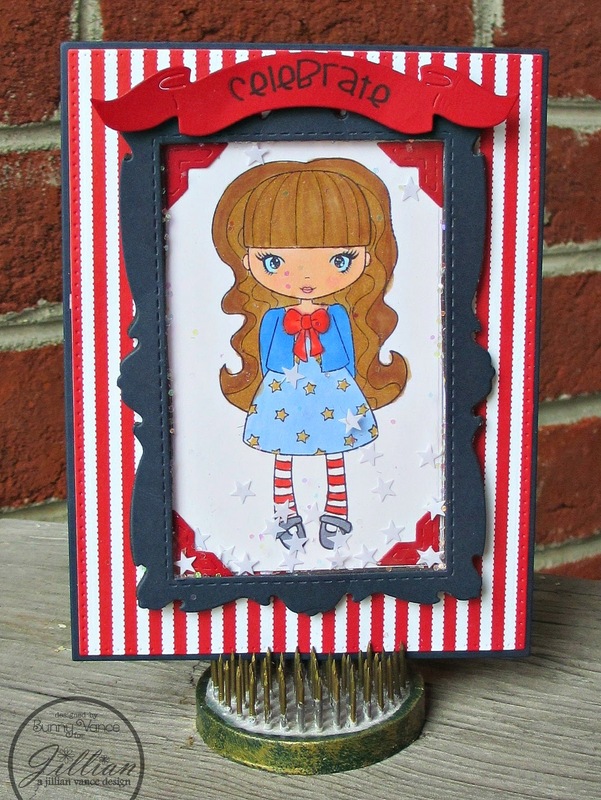 To make the shaker card I cut craft foam with the frame die, then clear plastic rectangle to fit and added the glitter goodies then glued it all together using Scrapbook Adhesives by 3L EZ-Dots runner. I arched the sentiment stamp to match the banner die cut. This Frame set is so fun with lots of options!